Are you looking for an engineering company in Christchurch who specialise in gear cutting? 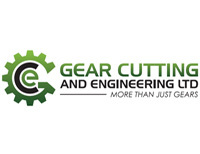 Welcome to Gear Cutting & Engineering Ltd, we are a Christchurch based, New Zealand owned company who specialise in Industrial transmission, gear, spline and timing pulley manufacturing along with associated machining involved with this industry. A mixture of specialised machinery is required for this process which enables us to serve the precision and manufacturing engineering industry as well. Gear Cutting & Engineering also have CNC machining centre and CNC lathe with bar feed for small specialised runs to production runs for all types of precision engineering components which also includes our gear components. Our range of other equipment enables Gear Cutting & Engineering to offer a diversity of other machining options for our customers. Has your machinery broken down? For our customer that find themselves in a breakdown situation Gear Cutting & Engineering will make every effort to get your machinery or production line back into service as quickly as possible. We service industries from Agriculture, Automotive, Energy, Fishing, Food, Forestry, Industrial, Maintenance, Manufacturing, to Printing. Simply call us today for more information - we would love to assist you. Gear Cutting & Engineering Ltd are your local Christchurch experts who specialise in Industrial transmission, gear, spline and timing pulley manufacturing along with associated machining involved with this industry.